Upon A Burning Body and Volumes announce their 2018 spring tour. | Badass Concert | Heavy Metal Music News | So METAL, we piss RUST! Home News Upon A Burning Body and Volumes announce their 2018 spring tour. You heard right, Upon A Burning Body and Volumes have announced their 2018 spring tour. Looks like the tour features The White Noise and Convictions as special guests. There are four bands total and quite a few Midwest dates. 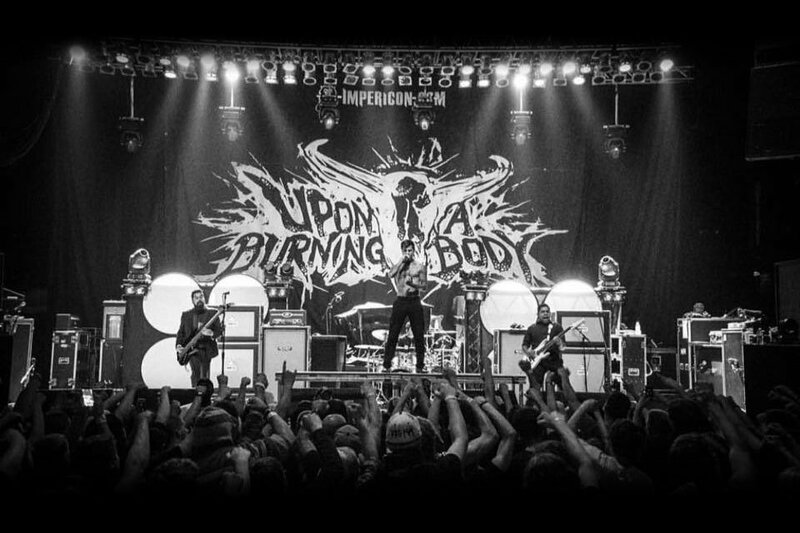 Upon A Burning Body puts on a great show live. I saw them awhile back in Omaha at The Slowdown and they killed it. Hell, they were way better than the headliner of that gig. I have not checked out Volumes yet, so it looks like I have some homework. The tour starts in May and has Midwest stops in Texas, Louisiana, Ohio, Iowa, Nebraska, Kansas, and Colorado. See the band’s Facebook page for all the dates. I’ll leave you with their killer B.M.F. music video that reminds me of Fresh Prince. Previous articleSoulfly & Nile are touring and they’re stopping in the Midwest! Next articleMushroomhead returns to Lincoln’s The Royal Grove this May.